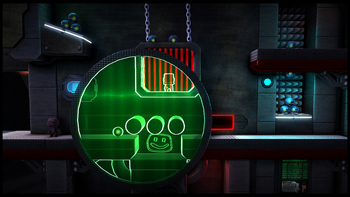 The next batch of DLC for LittleBigPlanet 2 adds Cross-Controller support and space pirates. It's been nearly two years since LittleBigPlanet 2 was released for the PS3, and Sony is giving gamers a reason to pop it back in again next week. The adorable platformer is getting new downloadable content that adds new story levels, allowing Sackboy to experience another adventure with the help of some space pirates. The additional content contains more than typical new stages and items, though; if you download the Cross-Controller Pack, you'll be able to use your Vita as a second screen controller for LBP 2. Gamers who have a Vita, a PS3, and LittleBigPlanet 2 will be able to use the handheld as a controller starting next Tuesday, December 18. Aside from adding "a whole second screen where action can take place," LBP 2's Cross-Controller gameplay will utilize the Vita's front and back touch screens, which "allows for an unimaginable number of new ways to play." You'll also be able to create and share your own Cross-Controller levels, with the DLC including some new tools with which to do so. The quirky, varied gameplay of LittleBigPlanet 2 seems like it will be a good fit for such an unusual control scheme, so it's only appropriate that it's the first game to implement Cross-Controller play. The LittleBigPlanet 2 Cross-Controller Pack will be available on the PSN next Tuesday in North America, with a $4.99 price tag.